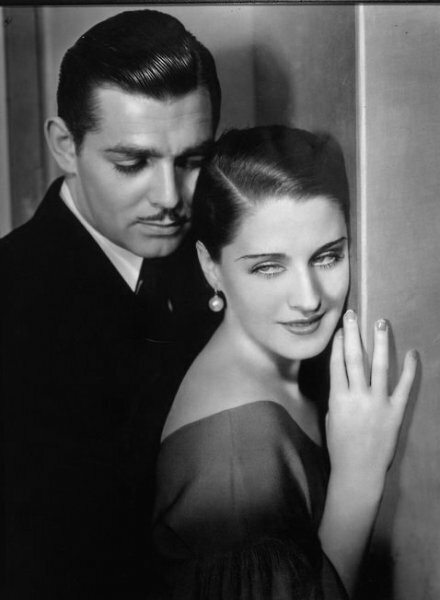 SPOTLIGHT: Dashing Pre-Code Gable (V) | THAT'S ENTERTAINMENT! After Nina Leeds finds out that insanity runs in her husband’s family, she has a love child with a handsome doctor and lets her husband believes the child is his. 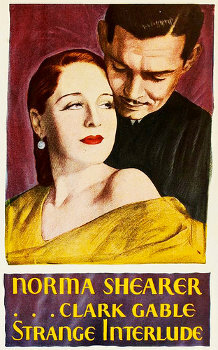 Starring Norma Shearer, Clark Gable, Alexander Kirkland, Ralph Morgan, Robert Young, May Robson, and Maureen O’Sullivan. Based on the play by Eugene O’Neill. Dialogue continuity by Bess Meredyth and C. Gardner Sullivan. Directed by Robert Z. Leonard. The story focuses on a young woman who, in grief over the loss of her beau in WWI, agrees to marry one of the many gentlemen interested in her for the sake of companionship. Unfortunately, she becomes pregnant with his child and soon learns from his mother that insanity runs in the family. Hoping to spare her offspring from mental illness, she aborts the child and seduces a biologist into procreating with her instead — all the while passing off the son as her husband’s. The woman and the biologist fall in love, but are forced to keep their feelings a secret until the death of her husband. It’s pure soap opera — with some juicy twists. Naturally, the motion picture adaptation tones some of this down, specifically the abortion beat, and the story, from my understanding, is stripped of a lot of its sexuality. The soliloquy device, an, in my opinion, unnecessary complication to an already engaging story, is handled in the film with voice overs. Perhaps its more effective in the play, because its usage in the film is gratuitous and not as revealing as it needs to be. (I imagine the play could and did reveal more, enhancing the drama.) Additionally, since the actors aren’t physically speaking the lines to the audience, they’re forced to remain silently in the action as the off-camera voice speaks. 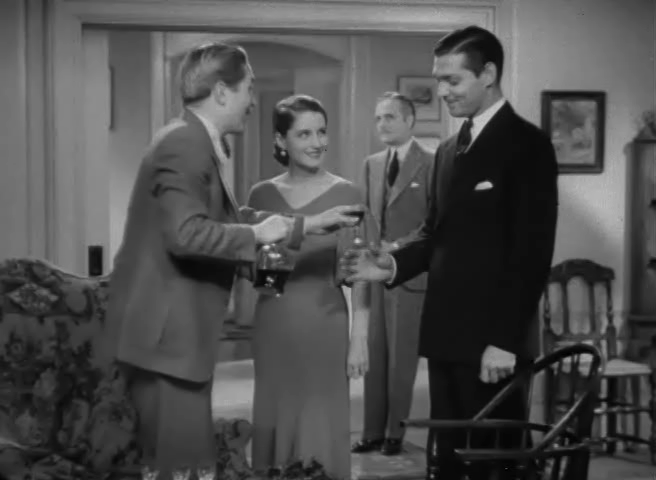 It’s unnatural, and only some of the actors — Shearer and Gable included — can pull it off. The son is annoying — both incarnations — and the old-age make-up for the adults is, as has been noted elsewhere, not entirely believable. But that’s not something that concerned me. I was more bothered by the story, which was building and building and building, until it kind of slowed and lost steam as they aged. (The pot not only never boiled over, but it seemed to simmer for the last third of the film.) Again, I’m not sure exactly how this is handled in the O’Neill play, but I really missed the sexuality — the rawness — that the bones of the story seemed to promise. It gets more and more sentimental with each scene. 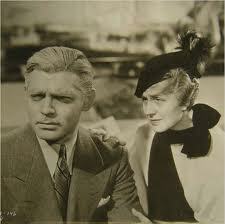 But, it is a soapy melodrama; we know that going in. That’s part of its fun. And our King and Queen, well, they certainly deliver. Come back next Friday for one more Pre-Code Gable film! And tune in on Monday for the start of a whole new week on That’s Entertainment! Hi, Greg! Thanks for reading and commenting! And thank you for the link to the Columbia recording. 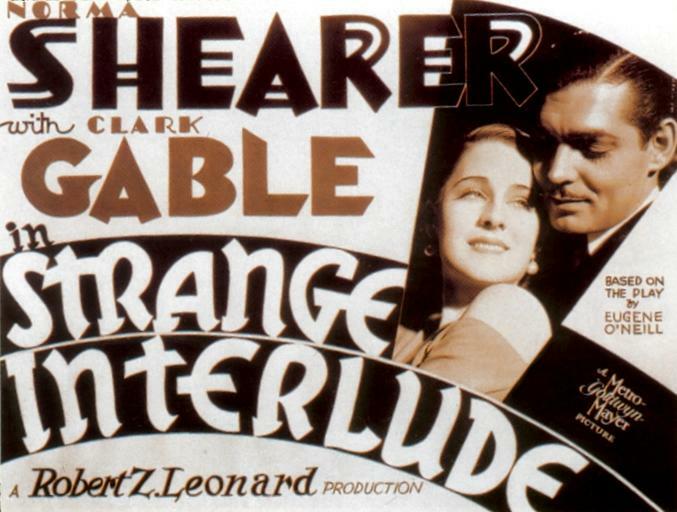 The castration of the piece’s sexuality coupled with the unfortunate decision to turn the soliloquies into voice overs hurts this 1932 adaptation. Hopefully O’Neill’s play is much better.